Libya's interim government says its forces have broken through Gadhafi loyalist defenses and entered the coastal city of Sirte, one of the former leader's remaining bases of support. 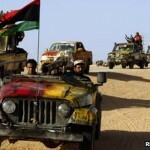 Officials for the National Transitional Council said late Thursday several thousand of their fighters from Misrata advanced into the center of former leader Moammar Gadhafi's hometown, where they faced heavy resistance from elite loyalist troops and snipers. 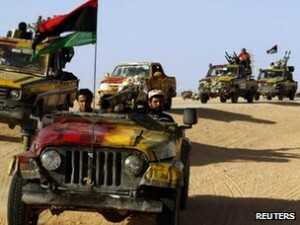 NTC military officials told The Associated Press that four of their fighters had been killed and seven others wounded. Earlier Thursday, jubilant crowds welcomed British Prime Minister David Cameron and French President Nicolas Sarkozy in Tripoli and the eastern city of Benghazi. The two leaders said they would introduce..